Recently, I purchased Lavanila's vanilla deodorant. I still love my Kiss My Face deodorant but needed something less irritating after bathing - my skin is very sensitive after shaving. 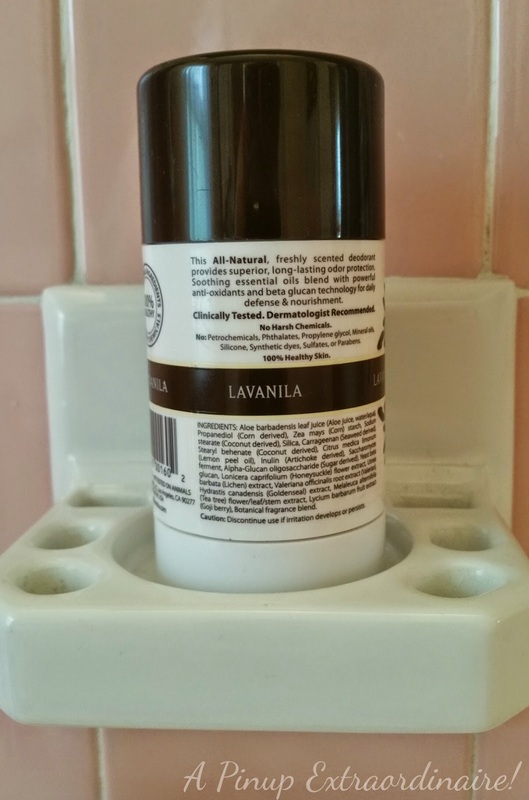 I had heard about Lavanila years ago when I started my natural journey - they have a lavender vanilla line that could replace the lavender vanilla I loved so much from bath and body works. At the time though money was tight so I just stopped using some products all together. Since then things have changed - and for the better, I might add. I was at Whole Foods the week prior when I saw Lavanila on the shelf amid Tom's, Kiss My Face, and The Crystal. I was surprised as I've only ever seen it at Sephora. I purchased it since Whole Foods had a tester available - I could smell and see the product (aside from sniffing I didn't test it). The deodorant is solid (off-white) not liquid or gel. The full size product is 2oz - $13.99 at Whole Foods and $14 at Sephora - a trial size (.90oz) is available for $8. Light, feminine scents that are not over-powering/strong. Uses a blend of essential oils and extracts to fight smell. Glides on smooth not wet or sticky. A little goes a long way - deodorant lasts quite awhile even with frequent usage. 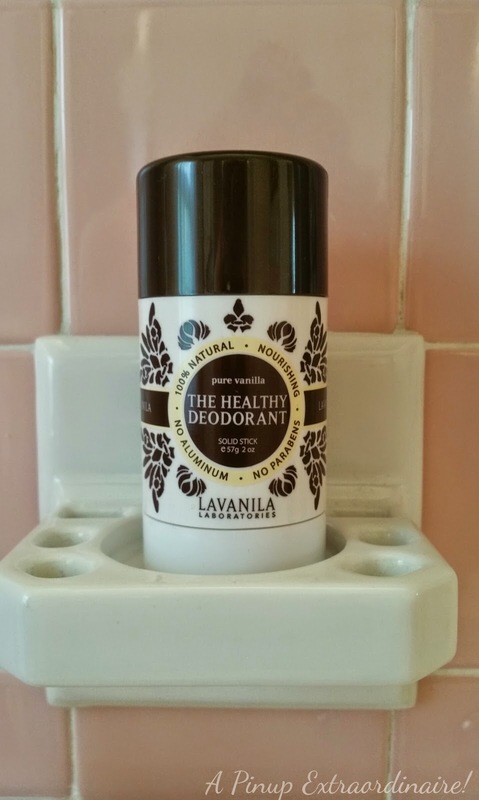 Additionally, you can purchase the deodorant directly from Lavanila for additional scents and offers. Both Sephora and Lavanila offer value packages of the deodorants, too. I'm really pleased that I've found another deodorant that reduces smell while being natural and has a lovely, light scent that pairs well with my fragrances. Have a favorite natural deodorant that you love? Share in the comments, please!